Our labyrinth uses the 7 cycle Cretan design, the oldest known. The fine gravel paths are delineated by plantings of false thyme, a great metaphor. Use it for contemplation and personal growth. Achieve serenity by reflecting on your life’s journey or just by experiencing a walk with no dead ends, no choices to make and no puzzles to solve. 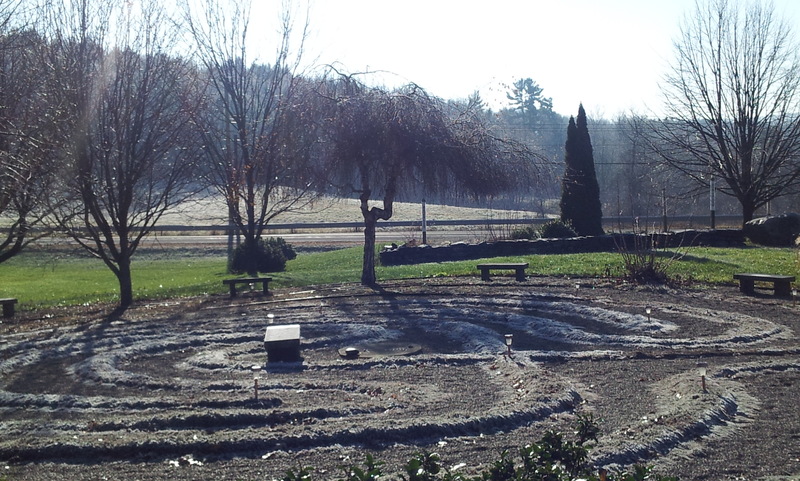 Our labyrinth has 13 trees planted on the outer perimeter with benches between each. When you are finished with your walk, sit in the sun or the moonlight next to your favorite tree and just be. Donations toward planting and care are always appreciated. It is also possible to dedicate a tree for one year— just for yourself or for someone else. The name will be placed at the base of the tree with a message of your choosing.